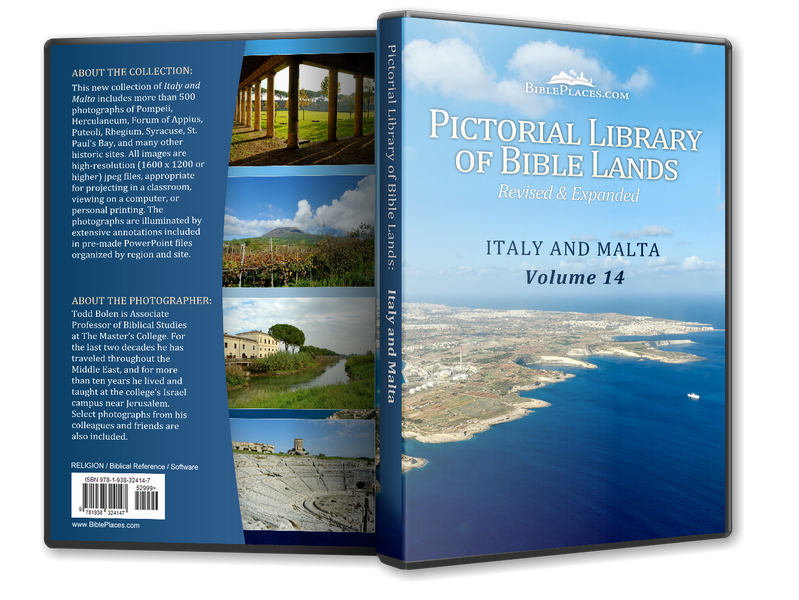 Paul and his companions stopped at this city for only one day as they made their way to Rome. 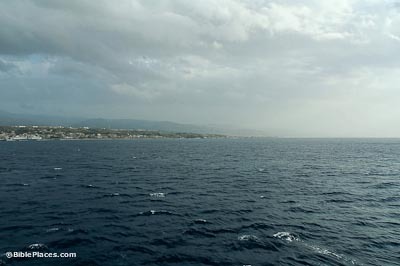 “From there [Syracuse] we set sail and arrived at Rhegium. The next day the south wind came up, and on the following day we reached Puteoli” (Acts 28:13, NIV). The prow of Paul’s ship had a figurehead of the Twin Gods, Castor and Pollux (Acts 28:11), and coins minted in Rhegium provide evidence for the worship of the Twin Gods in the city. In the face of Greek general Pyrrhus’s invasion of Italy with the Carthaginians in 280 BC, the people of Rhegium asked Rome for protection. 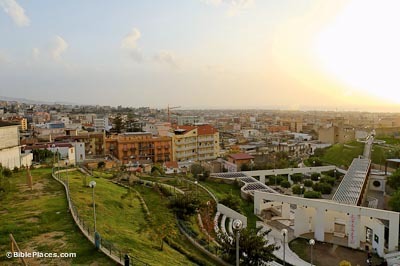 In response, a Campanian garrison of 4,000 men was sent to help, but instead of protecting the city, they plundered it. The men of the city were killed or driven out, and the women and children were taken as slaves. In 271 BC, the Roman army punished the garrison and returned the city to the surviving citizens. 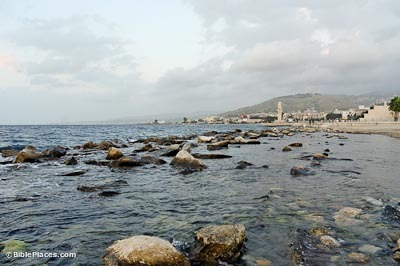 Roman baths have been excavated along the seafront and may have once belonged to a private dwelling. They were built in the 2nd or 3rd century AD. 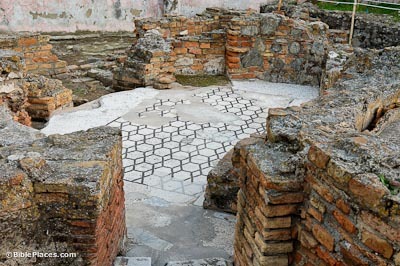 The changing room (apodyterium) has a well-preserved black-and-white mosaic floor.